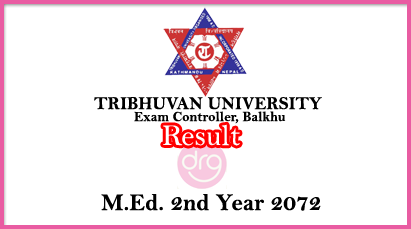 27 June, 2017 [13 Aashad, 2074], Tribhuvan University [TU], Office of the Controller of Examination, Balkhu published the results of Master of Education (M.Ed) Second year-2072. The examination of M.Ed Second year was conducted on Poush-Magh, 2073. Result Statistics of M.Ed Second Year 2072. 1. MBS First year-2072.The examination was held on Marg 2073. 1. 4 years BFA First year -2073. The examination of BFA First year was on Ashwin-2073. 3. LLB Second year-2074.The examination of LLB Second year was held in the months of Falgun-Chaitra. The results can be viewed on www.tu.ntc.net.np or Students can view their result by sending text to 4949 of NT. 0 Response to "Check Result Of M.Ed. 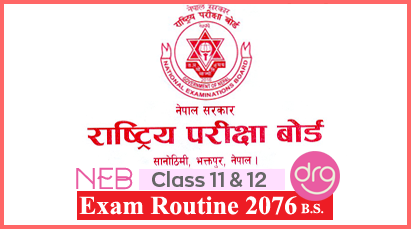 Second Year - 2072 | TU"